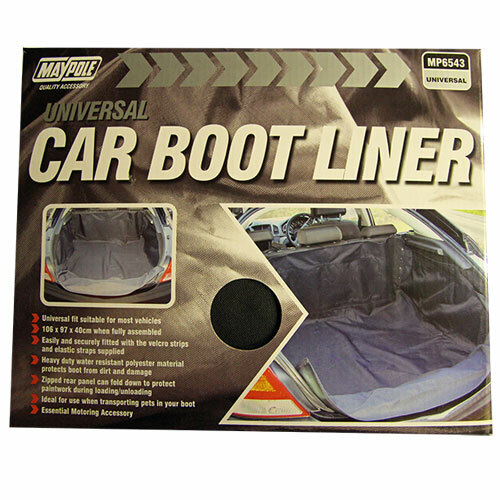 This Universal Car Boot liner is manufactured from heavy duty water resistant polyester material, quickly and easily protecting your boot from dirt, and damage. It is easy to fit and secure with the Velcro strips and elastic straps supplied. Also features a zipped rear panel which can fold down to protect paintwork during loading/unloading, so ideal for use when transporting the family dog! . 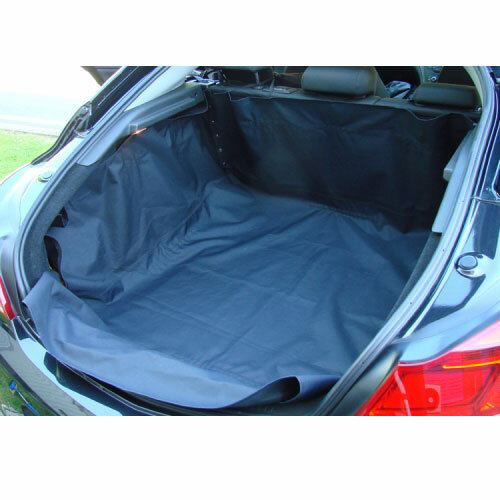 Universal fit suitable for most vehicles, 106cm x 97cm x 40cm when fully assembled.